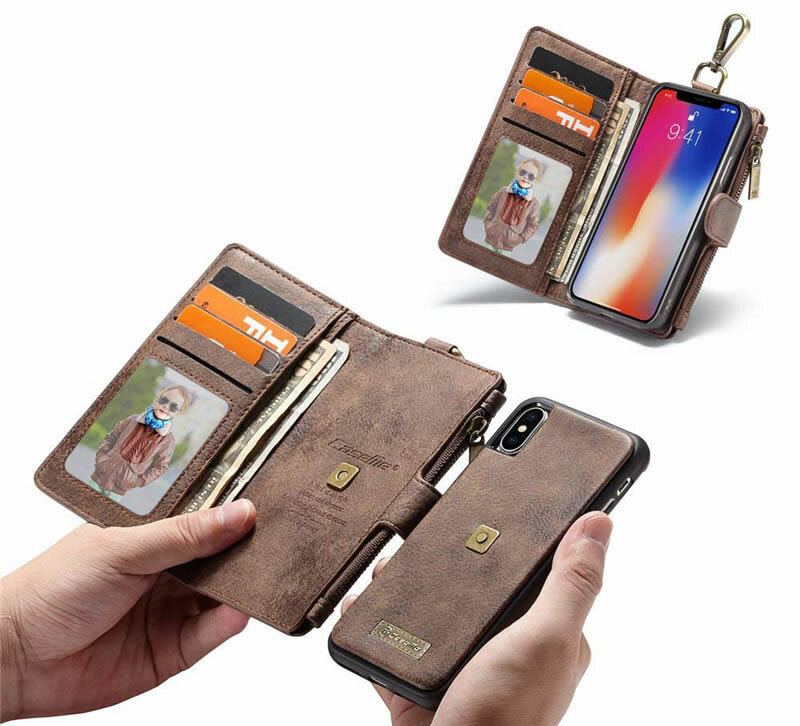 Free Shipping, Buy Genuine Original CaseMe iPhone X Detachable 2 in 1 Multi-functional Zipper Wallet Case With Metal Buckle at Casemecase.com. 4 Cards Slots + 2 Cash Slots + 1 Zipper Wallet. 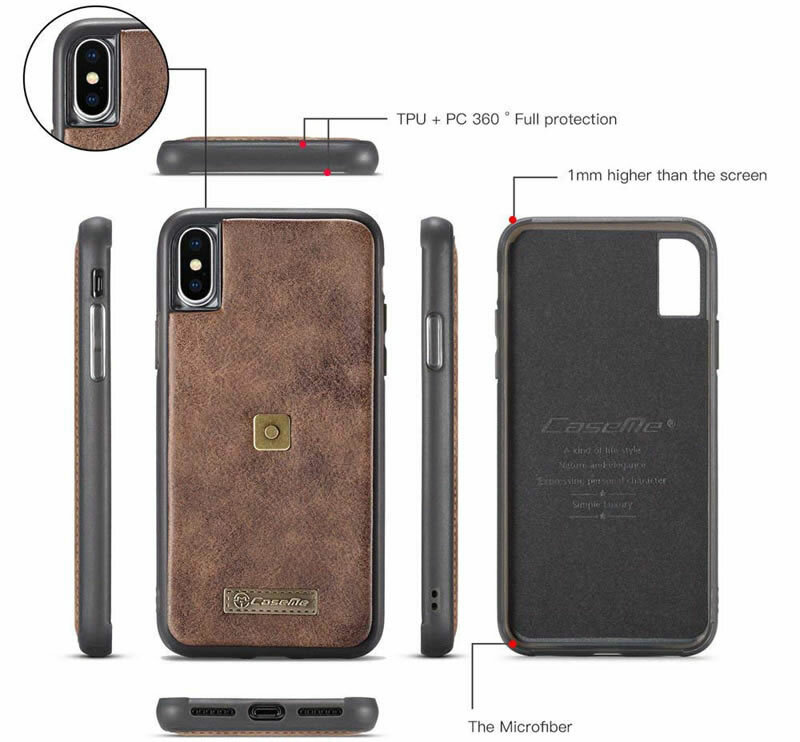 – The leather coated PC case can be used alone. – Exquisite cutouts offer an easier access to all ports. – Swivel Belt Clip Made of Brass Metal to Tightly Clasp Your Belt Loop. – Zipper closure cash/coin compartment to make sure all thing stay inside securely. 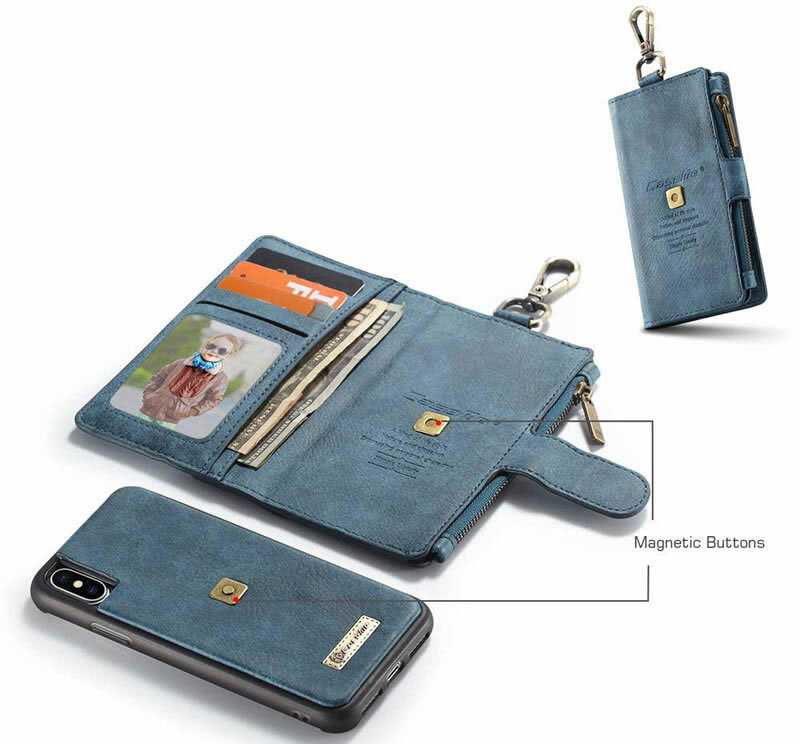 4 card slots + 2 cash slots + 1 zipper wallet, Safety and Fashion, Practical Features and Beauty, it meets all your daily outdoor demand. 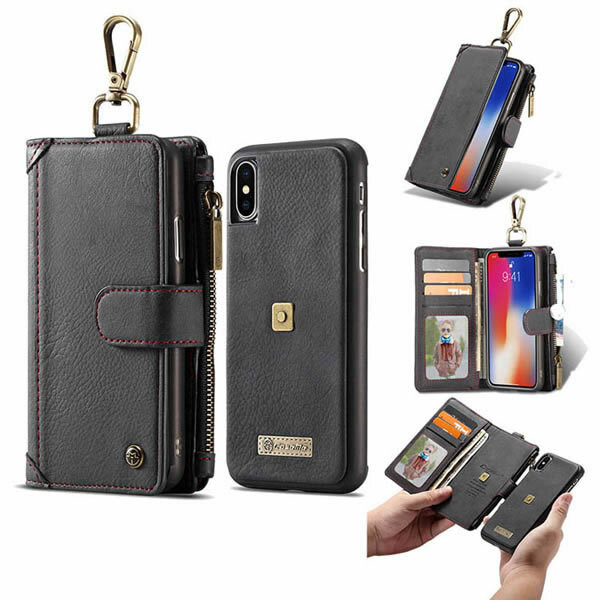 You can carry the case with the folio flip wallet or you can detach the case from the wallet if you want to carry only the back case without the wallet. More 1mm height for 4 corners, effectively protect your mobile phone against scratches, damage, dust and dirt. 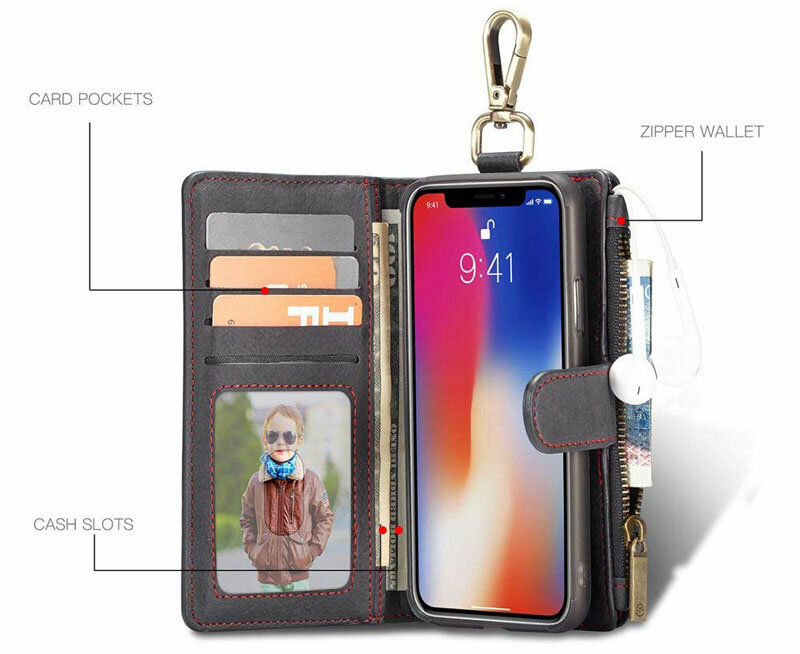 Provide functionally and protection with the all-in-one design, folder wallet pocket style case; Zipper closure ensures all your cards, money and personal staffs stay inside securely, it will be so perfect to hang onto belt loop. A beautiful case with places for driver’s license and two credit cards. 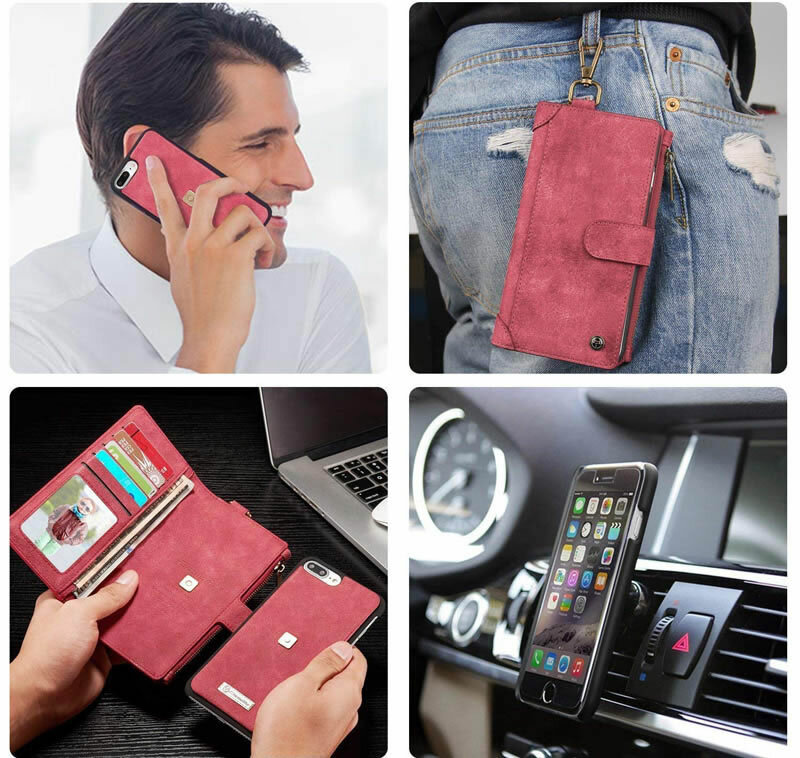 Now I can grab my phone and make quick errands without taking my entire purse. I loooooove this case!